I have been practicing Financial counseling for the last 5 years. In this journey, I am lucky enough to meet lot of investors, my clients, friends, well-wishers and relatives. I have observed that each individual’s/family’s financial situations, financial behavior and attitude towards investments risk are very unique and different to each other. May be this is the reason why I have always believed that there is no ‘‘one-size-fits-all” financial plan/investment plan. That is why it is called as PERSONAL Finance. It is your finances. But, I have observed (observing too) one common thing from all these meetings i.e. most of the investors are committing same and common PERSONAL FINANCE Mistakes. In this post I have tried to list down the top 6 most common and biggest Personal Financial Planning mistakes that many of us commit. These are purely based on my work experience and observations. You are free to share your comments on my views. Not maintaining a Contingency or an Emergency Fund – I have seen people who earn even a ‘five figure’ salary asking for financial help during unforeseen medical emergencies or unfortunate events. They earn well but they do not save. So, what do they do to fund these emergencies? They go and acquire personal loans or take loans on credit cards. This puts them in a viscous circle. They take years together to come out of these loans and have to pay heavy interest amount too. We can also consider the above point (‘mistake-2’) here. I have also observed that people withdraw all their cash reserves, PPF (Provident Fund), EPF etc to fund the down payment while purchasing properties. Do not do that. 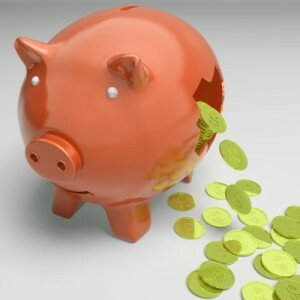 Have sufficient cash or bank balance, may be 6 months of your monthly (fixed+variable) expenses as an Emergency Fund. If you do not have such fund, start saving in a Recurring Deposit or use your Sweep-in account to create your contingency fund. Not having sufficient Health Insurance coverage – When I ask a salaried individual about his/her medical insurance plan, I get to hear this answer ” My employer provides health insurance cover.” With rising medical costs and unhealthy lifestyles, do you think that the coverage provided by your employer alone is sufficient? You may ask yourself few of these questions. What happens to my health coverage if i quit or lose my job? Can I afford to buy or get a new medical insurance plan when I retire at 58? What if suddenly my employer changes the terms & conditions of Employees Mediclaim policy? Aren’t you putting your whole family at risk? Have a standalone Medical insurance policy. Have an health insurance plan for all your dependents. Having mob-mentality (Do not rush to follow the crowd, it might be a funeral procession – Robin Sharma). As I mentioned, each financial plan is unique. Your financial situation might be different from your friend’s. Plan your finances based on your risk profile and your own requirements. Many of us do not try to understand about the Salary structure and also about the basics of income tax. I also get to hear this common sentence frequently – ” Sreekanth, I do not know where my money/income is going..” These days, major purchases (Smart phone, LED TV etc) are financed by debt, not by advance saving, and are often bought impulsively without research. Suggest you to prepare a monthly budget and stick to it. Plan and save for fixed as well as variable expenses. Do share your views and comments. Cheers! “The Secret of a Financially Happy Living is to Plan for all the Known Events in your life and to Make Provisions for all the Unknown events in your life!!! Personal Finance lessons are often learned through experience.” I really liked this statement Srikanth. Have been reading your articles for somedays now. Keep up the great work. I think these basics should be taught in colleges as part of curriculum and that would be better awareness. You are 100% right dear Arjun. Basics of Financial planning & money management should be part of school or college curriculum (especially for teenage kids, atleast). Unfortunately I am a victim of low cibil score and was looking measures to improve it as I also wanted to avail a personal loan to renovate my house. Please suggest me as the banks keep cibil score as the fundamental factor in giving loans. Kindly go through this article, can be useful to you: How to improve Credit Score? Dear DEBAJYOTI..I believe there are very few plans which offer such high Sum Assured. PTD, very few may provide. Also, the risk factor in this case is low. So, you may kindly review your requirement. I believe, partial temporary disability is a condition which can be cured with hospitalization which is also covered in Apollo Munich IPA plan and as an optional benefit in Max Bupa. Apollo Munich also covers broken bones etc. It may be covered in Health Insurance as well. Have already invested in ELSS. My financial advisor suggested me to invest in both Franklin India small cos & birla sunlife MNC fund. I find that both are mid/small cap funds. What’s your opinion? In addition to my earlier query, i have few more doubts. I have invested already in Axis long term equity, franklin india tax shield & reliance tax saver. In addition this year i plan to invest in franklin small cos fund. Should invest in the same above mentioned funds each year like buying more units of axis long term equity or should i invest in different funds each year? In case if you have dependents &/or financial obligations and under-insured, consider buying a Term plan & Personal Accident insurance plan. Kindly check for any high overlap among the three ELSS funds, read: MF portfolio overlap analysis tools. You can surely consider investing in Small cap fund like Franklin smaller cos fund for long-term goals. Personally, I prefer lump sum investment to SIP in ELSS fund(s). If not for tax saving, you can invest in couple of new funds from Small fund category & one from Diversified Equity fund category. really your blog is an eyeopener for me. initially i thought stocks and shares are difficult to understand and kept away from them. now your blog has rekindled interest in mutual funds. i have few more queries. 1. if i invest in few MF this year (eg-axis long term equity & Franklin small cos fund), during next year and coming years if these funds still do well, is it better to invest in same funds. or should i select different funds so that i may not lose all my money if these funds dont perform well in future. 2. what is the difference between tax saving ELSS and other MF. why some ELSS are given tax exemptions, not others? 3. i used Online Portfolio Overlap Tool. till what percentage of overlap between two MF is acceptable according to you? 1 – You can make additional investments in the same /existing funds. However let’s say these funds do not perform well (kindly note that it is ok to be at say num 3 or num 4 in rankings, we need to look at consistency) and does not even beat the fund category average for few couple of years or so then one can switch to better and other consistent ones. 2 – ELSS funds are also equity oriented funds and most of them are Multi-cap funds. All ELSS funds are eligible for tax exemptions. 3 – There is no IDEAL percentage as such. However let’s say two funds have 90% overlap then there is no point in investing in both the funds. What is the difference between tax saving ELSS & other MF? After exhausting 1.5L(80c) limit, should i invest in other MF or can i invest further money in tax saving ELSs itself? Can u suggest what types of MF should i choose to meet my goals (house in 10-15 yrs & long term corpus)? Hello sir, i’m 34 years old indian army soldier and my annual Income is 4 lac. My family is also depending on me.iam always worried about my future.my son is 11 years old.my investment is…. Let’s work on your personal finances and set them right. Any specific purpose for investing in RD? What is the lic plan name which is in your son’s name? HDFC balanced fund is a good fund, continue with it. Don’t invest in RDs for long term..
Sir, I am 31 years old and last month i started investing in SIP with a time frame of 20-25 years with no short term or medium term goals. I have invested in 3 mutual funds. Now i want to invest in ELSS. Should i start a SIP of 10000 in AXIS long term equity fund. My prime goal is wealth creation. i need your advice. 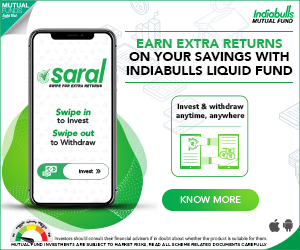 Good funds but why only UTI funds? Any specific reason? Axis LTE is a good fund. Kindly read : Best ELSS funds to invest in 2016. Really You are giving detailed analysis on the financial issues. I appreciate your efforts to educate people. Retirement planning should be given top most priority.. Thank u for your advise. But I think by investing in retirement planning schemes we may get less amount because of scheme providers charges, less risk taking methods, etc. Any how every one at least may have more than 10 years of time for retirement. Instead of investing in retirement planning schemes, it is better to accumulate more fund by investing in equity funds like mid caps & small caps (we have more than 10 years of time frame) which generate more corpus. I believe that slight misunderstanding has happened from your side. I have quoted ‘retirement planning’ and not investing in any retirement oriented schemes. My suggestion is same like yours ie one can invest in equity oriented funds or direct equity towards long-term goals like Retirement planning. I could not able to trace my query like Under which article I posted my query and to know your answers. Make a facility to track this using our mail id. Also I want to have a suggestion from u.
I am 42 y old with 2 children. Having sufficient term insurance (for 1 c) & Health insurance (for 9 Lakhs – family floater) which is compared with your suggested articles. I am having a home loan for 25 L started in June 2015 for 10 years duration. Also I want to have 3 goals. At present I am having approx. 8 lakhs mutual funds investments. At present I can save 2 lakhs per month from my salary. Do you want me to close Home loan with in one year and then start savings. Or shall I continue home loan for 10 years and surplus amount in savings. Presently I am working Middle East. My family is in Hyderabad.After 2 years I want to come back to India and do a small business which may expect approx. 50000/- per month income. Kindly suggest me good plan. If u have any paid up plans I can join with you. 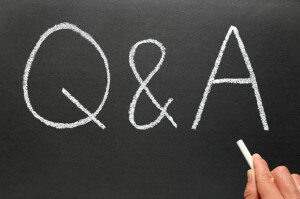 We have already discussed most the things on Q&A page. Refer to your query dated 14-nov-2015. We will try to provide a facility to track comments or have a notification alert. Above article is an eye opener for the people like me. this is Awesome. keep posting such educative and informative articles to help people. i have a brother who is42 years old. he is suffering from BP & diabetes. could you please advise which health policy would cover him and his whole family (wife & 3 kids). kindly advise with some good providers names with premiums (if possible) according to his illness. Your brother can take an independent policy and his family (spouse + kids) can take another policy which can be a Family Floater policy. Check out this one : http://www.starhealth.in/diabetessafe.php. This is WOW WOW Article. All the points are very valid especially buying house..Still i too bought the house at young age and swiped off all the deposits and paid the down payment. some how i woke up now.. Thank you Ashok 🙂 Keep visiting! You are doing a nice thing in waking the people up for investments/Insurance. I really like your comments/suggestions/posts. But i really don’t agree with points mentioned under “Buying a Property at a young age through home loan”, i think this will demotivate some of youngsters who are thinking of buying a property here or there which itself i suggest is a great investment(even better than Market investments if chosen wisely). for eg. If one is paying House rent of 20K and an emi of 40K can own him a house(obviuosly with some downpayment), there is no better alternate for this.So, i request you to please delete or rephrase that point. Atlast, thanks for all your suggestions/posts. It is not the case of motivation or demotivation. It’s the fact. I have also mentioned that, this decision of buying property (for self-occupation) at young age and that too with a loan, can make you to postpone the other important goals. My view is not to discourage investing in property, but to encourage to prioritize the fin goals. If one can allocate monies to fin goals like retirement etc., and still can afford to pay Home loan EMIs then ..Go ahead! Agreed about all he points in your posts, but cant agree with your views on “Buying a Property at a young age through home loan”. Sorry !! Would like to know your opinion above NSP for retirement. Do you think it is sufficient ( of course it depends how much you are contributing and what one needs after retirement ), But is it sufficient to relay on one instrument. I believe it works in similar manner to MF. If an individual (employee) had to compulsorily make contributions to NPS then we can’t do much about it (Contribution is mandatory for all government employees). Else, it is better to avoid. I prefer financial products which are simple, easy to understand, products which offer control/flexibility and tax efficient. I believe NPS does not satisfy most of the said requirements. MFs are more liquid, offer flexibility /control and are tax efficient ones. It very usefull for me as well those who are planning for their future investments. i’m trying convince my close friends to understand the insurance is not a investment it’s to safeguard our loved one but they are saying “term insuracne” not give return. anyway i will succeed soon. my friend to get understand what is insuracne soon. Thanks for your valuable information, becuase i’m developoing my self by reading your posts about financial goals & others goals(advising them to prepare proper investment). Thank you for your appreciation and keep visiting!. I will show your article “Is Term Insurance a waste of your money”. Please do that. You are doing a great help to your friends by educating them about the importance of TERM INSURANCE. All the best! Very well said Shree. I think the first point is the biggest worry people. The day people learn to keep insurance and investment separate, I think they will achieve 50% of their personal finance goal. Thank you.People should also first start asking right questions, understand the basic features and then invest in right insurance plan ( on any given day, i would suggest term insurance only). Insurance is sold aggressively in India and not bought. Unfortunately unwanted & bad insurance is sold aggressively. About the point on buying homes, there is whole bunch of people doing this in India and it makes me to believe that buying a home for living is an important thing to do ! Why do you say that buying a home with loan is not the right approach… most of these young guys start the housing loan may be in their late 20’s and complete the loan by late 30’s , so they anyways still have 20-25 yrs left in their productive age . My point is – Buying a home with loan can be a right approach after allocating sufficient savings towards Retirement and other important goals. I have seen many individuals (in early 30s) who struggle to pay Home loan EMIs, manage Kid’s Primary education expenses and meet rising living expenses. Late 20’s is the time to invest as much as possible in risk-oriented investment options and leave them for long term wealth creation. Off-late, I have met few clients who lost their jobs (IT industry) but have home loan EMIs and other financial commitments too. So, if someone takes a home loan (which is within his/her limits, not over-leveraged) and still allocate savings towards important financial goals then it is absolutely fine. Actually there is nothing right or wrong solution here. As long as you are comfortable and do not experience any strain with your finances, its all ok. Your Reply has a disclaimer which should have been in Point 2 of the article itself. You mean to say that I should have mentioned in the article itself about – ‘nothing wrong in buying a property with home loan as long as an individual saves and invests money for other goals too.?? Thank you. Do share the post with your friends. Keep visiting!